I'm sure many of you on this natural hair cyber world have heard of Wild Sunshine Bliss' afro hair typing system. I first learned of it over at Natural Sunshine. Although it's not as descriptive as the LOIS system, I like this one too. According to it, my hair type is Medium, C2-3. What do you think ladies? Do you like this system? Are you still anti hair typing? Just try to remember whatever your stance, hair typing is what YOU make it. You can make it devisive or you make a tool for education and empowerment. Even the diabolical Andre Walker hair typing system helped me when I first went natural. 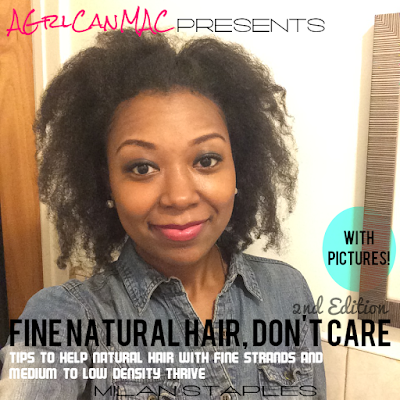 You're better able to work with your hair and take good care of it when you know its properities and characteristics. I like the way u phrased that, hair typing is exactly that...only what u make it.